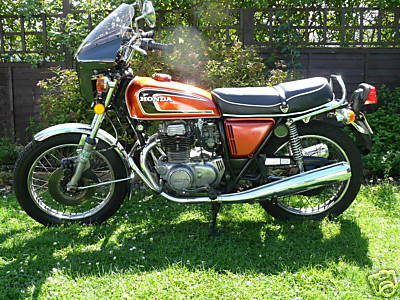 Image kindly provided by www.classicjapanesemotorcycles.com. 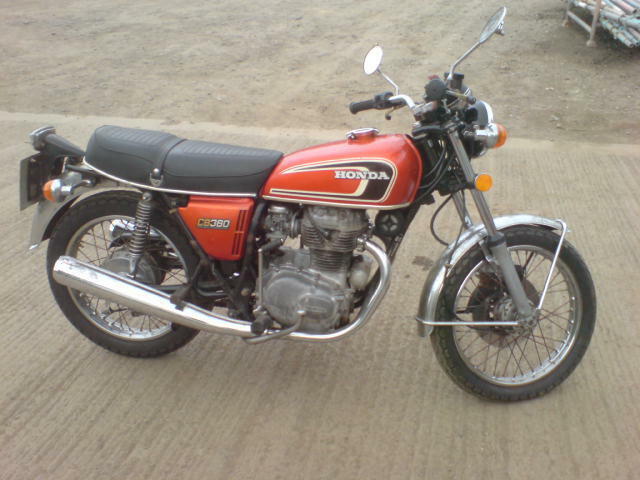 Air cooled, parallel twin cylinder, SOHC, 2 valve per cylinder, 6 speed, 34bhp @ 9000rpm. 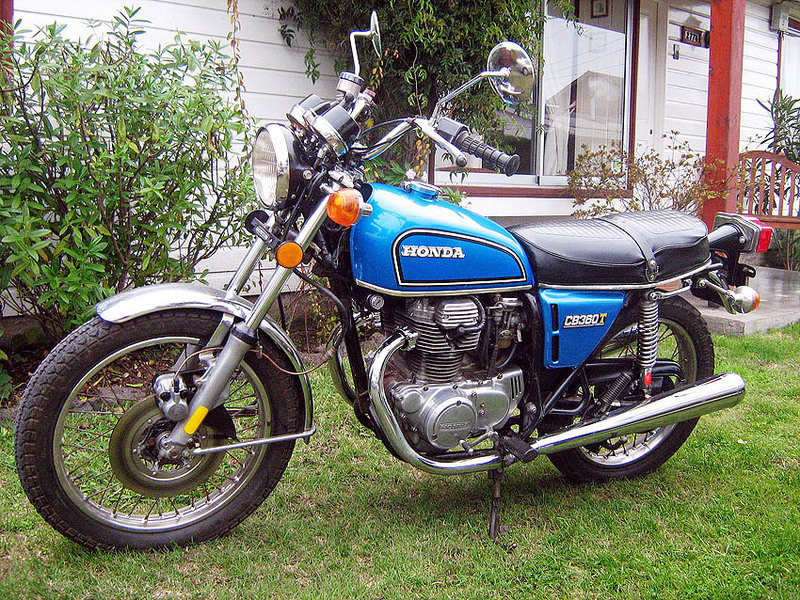 In 1975, Honda CB 360 to the onerous task of succeeding the CB 350 (the by-cylinder), which was one of the best sales in its time. 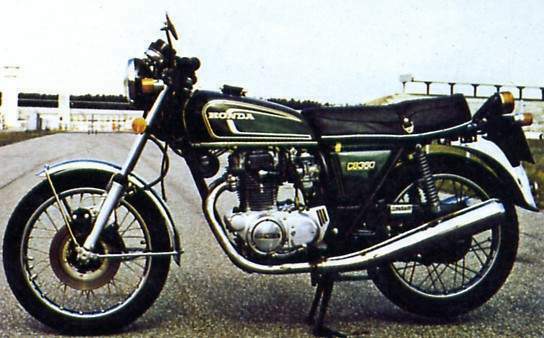 The succession is difficult especially as the competition prepares its arms with his Suzuki GT 380, Kawa and his 350 S2 and with Yamaha RD 350. 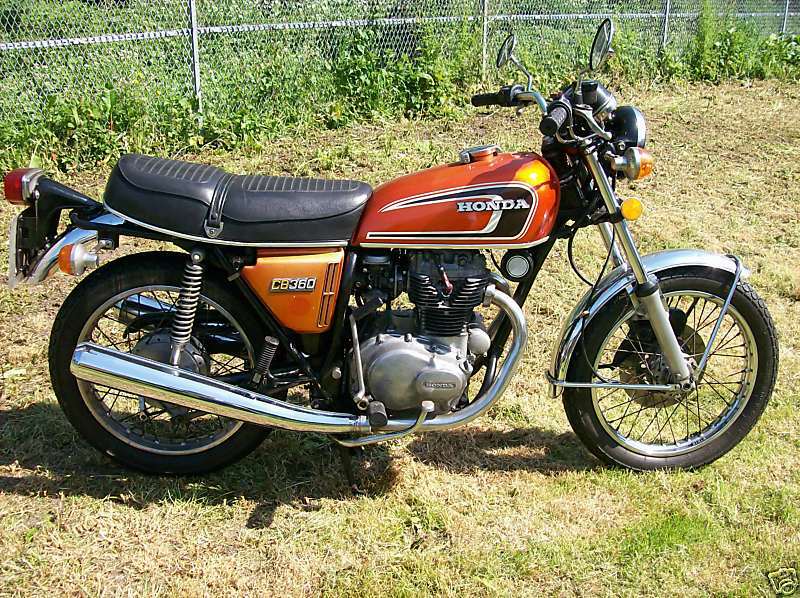 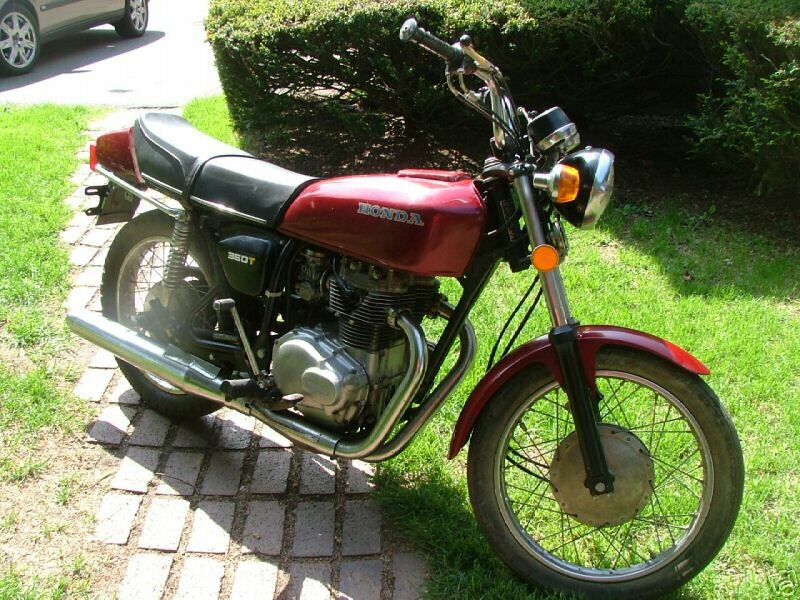 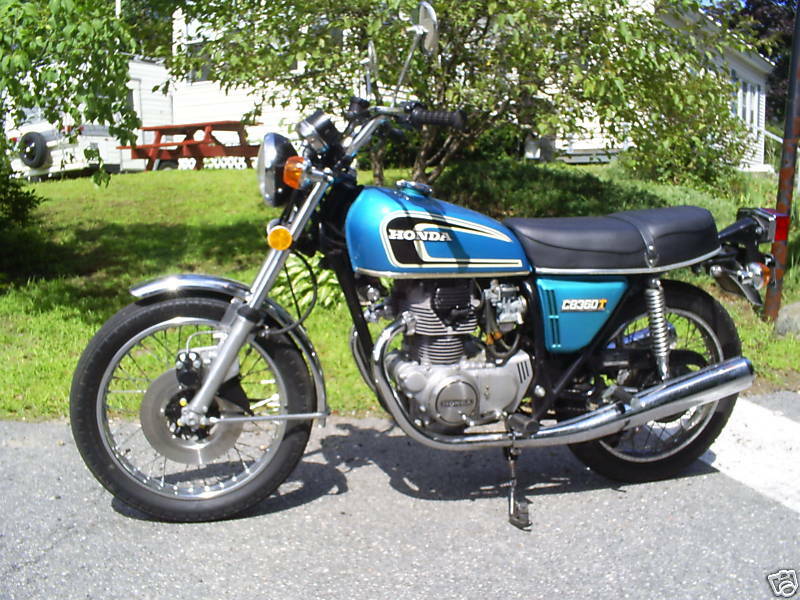 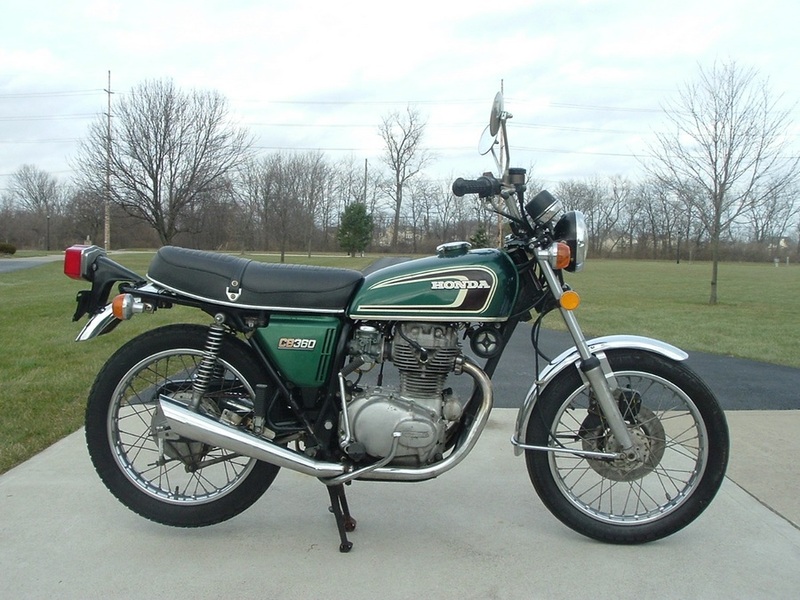 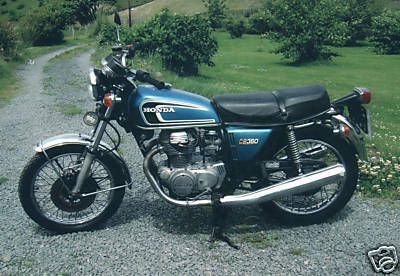 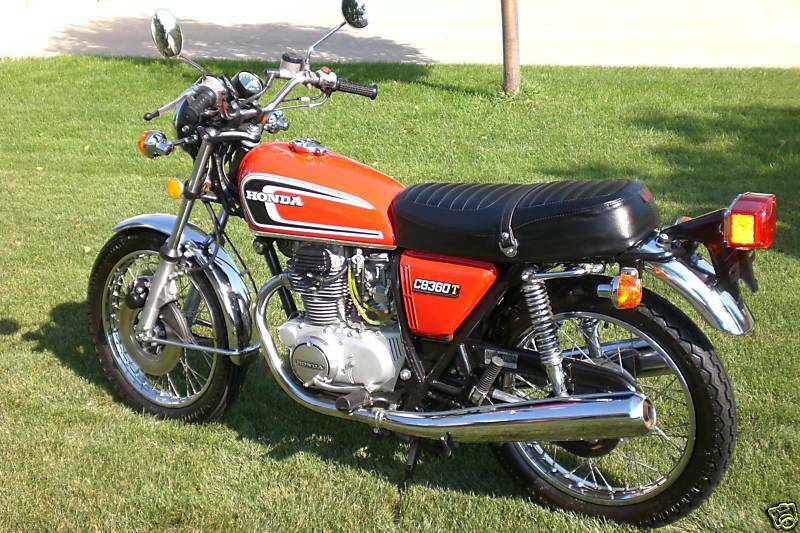 The line is more modern than the CB 350, the exhaust systems are identified for many.